Does Certified Pre-Owned make sense for bikes? The Pro’s Closet believes the answer is, yes. Certified Pre-Owned — it’s a familiar phrase in the automotive world, where dealers sell used cars that have been given a heightened stamp of approval. So could this same idea be applied to bikes? On-line eBay seller of all things bikes The Pro’s Closet thinks so and has launched its own version of certified pre owned that includes a guaranteed buyback component. Check out this promo video and accompanying press release to learn more. Then tell us what you think. Does the idea make sense for bikes? 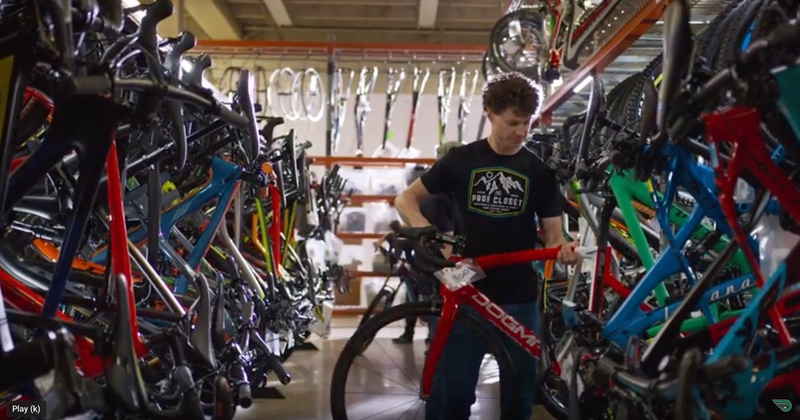 The Pro’s Closet has announced its Certified Pre-Owned program, providing customer insight, product inspection and service and a guaranteed buyback program defining a rolling store credit and a roadmap into not only your next bike, but a sustainable opportunity for a lifelong environment allowing riders access to ongoing technology advancements and changing trends without the guessing game and financial penalty of buying and selling bikes on the open market. So what does CPO mean? : Every Certified Pre-Owned bike is put through a 141-point inspection and pro tune service by a professional mechanic. All parts that didn’t pass inspection are serviced or replaced while complete access to the service sheet gives visibility into every detail of the process, giving you confidence the bike is problem free and ready to ride. : The Guaranteed Buyback program pre-defines a trade-in or buyback value schedule of your Certified Pre-Owned bike for 18 months. The guaranteed buyback value of your bike is updated on a monthly schedule and is accessible to you by logging into your Pro’s Closet account anytime during the 18 month period. During that time The Pro’s Closet helps you find your next bike with weekly updates tailored to you via your account. At any time during that 18 months you can initiate the trade-in process and your store credit is applied to your next purchase. Any upgrades you apply to your bike will be examined by their buying team and the trade-in price will be adjusted accordingly. That said, if you decide you’d prefer to sell the bike back to The Pro’s Closet rather than trading for the next one, they send you payment at the bike’s cash value. For additional details visit support.theproscloset.com. Karim Amour is going for a threepeat of the overall this season after winning the first round.